When you are expending so many resources (financial, physical or emotional) on assisted reproductive techniques such as IVF, it is natural to expect some guarantees in return for these investments. In the lab, we are often faced with questions about success rates and requests for certain outcomes and we find ourselves having to answer with caution, as no two scenarios or situations are the same. Nor can we predetermine how each cycle will progress, even if you have had a cycle previously. In short, unfortunately, we are not able to confidently provide any guarantees. What we can do is give you an idea of what to expect from your IVF cycle by employing a general rule of thumb based upon average results seen across all IVF clinics. This often means having to re-adjust a couple’s expectations to a more realistic scenario. The rule is essentially IVF’s very own rule of thirds. Let’s start with fertilisation rates. Some would liken IVF to shooting fish in a barrel, you put sperm and eggs together saving the sperm a long and tiresome swim (IVF) and in some cases you even put a sperm inside an egg (ICSI) so you would expect fertilisation to be nothing short of 100%. But in reality, on average two thirds of mature eggs will fertilise (i.e. 60-70% or 6/9 eggs). From there, the majority of fertilised embryos should progress well for the first 2-3 days. It is generally from Day 3 onwards where there will be another adjustment in numbers, and this is generally where the largest decrease will occur, with around one-third of embryos progressing successfully to the blastocyst stage (Day 5/6 of an embryos time in culture). 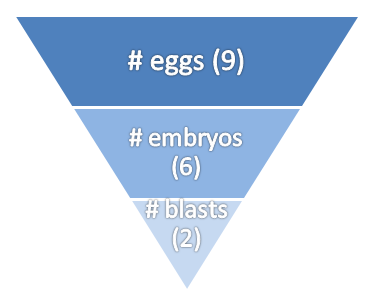 Using the previous example, of the initial six embryos which fertilised we would expect two to still be meeting the expected milestones by Day 5/6, with the remaining four either arresting or delayed at earlier developmental stages. These four delayed embryos will not be able to create a healthy pregnancy, as a blastocyst is essential for a chance at a pregnancy and so six now becomes two. As you can imagine, this information is generally received with disappointment; an earlier investment of 9 eggs resulting in only 2 good embryos is not seen as the best return. But the good news is it actually gives you the best odds of success: If an embryo can make it to a good quality blastocyst, then the chances of pregnancy are improved immensely because you have selected out the most likely to succeed. 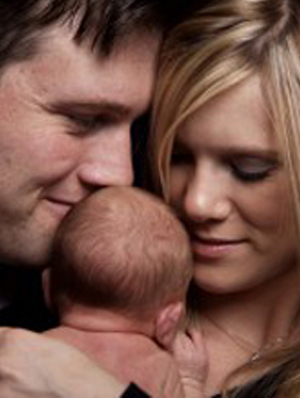 This ultimately gives you the best chance of a pregnancy in the shortest time possible. It is a poignant example of the principle “survival of the fittest”. In our scenario with two blastocysts, ideally, one would be transferred, with the second hopefully meeting criteria for freezing, providing a second opportunity for a pregnancy in the future. Of course there are always going to be exceptions to this rule, sometimes for the better and unfortunately, sometimes for worse. It is natural to then assume that retrieving 18 eggs, or as many eggs as possible, would result in a better return on your investment, essentially an expectation of four blastocysts, but this is actually not the case. IVF management requires a fine balance and studies suggest that collecting approximately 15 oocytes gives the best chance of a live birth, however this too needs to be managed with reducing a patients chance of ovarian hyper-stimulation. Now if only someone would invent that crystal ball, IVF would be so much easier for all concerned. If you would like to speak with one of our fertility nurse specialists, we offer a free initial phone or face to face chat. Please call our Sunshine Coast IVF clinic on (07) 5478 2482 or our Bundaberg clinic on (07) 4151 5222 to arrange.